Comerica Bank has partnered with the Detroit Public Library to present the FREE Comerica Java & Jazz: A Coffee House Series for the 15th consecutive year. The concert series brings world-renowned jazz musicians to Detroit for music fans to enjoy FREE of charge. The FREE concerts will be held on the third Tuesday of every month from March through July at the Detroit Public Library, Friends Auditorium located at 5201 Woodward Ave. Detroit, MI 48202. Tuesday, March 17 – 6 p.m.
Straight Ahead have shown themselves to be powerful and imaginative composers and arrangers in the music industry. Their sound ranges comfortably from mainstream jazz, R&B ballads, to Brazilian funk. Tuesday, April 21 – 6 p.m. 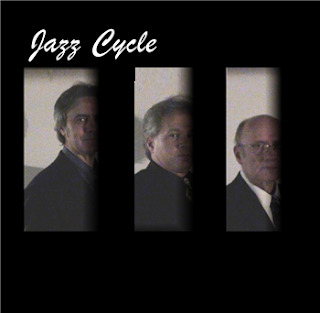 The Jazz Cycle showcases a different approach to making music by combining different styles of jazz to achieve the right blend of sound and feel of the tunes all the while having fun playing and creating music. Tuesday, May 19 – 6 p.m.
An award-winning vocalist, Kathy Kosins is known for her eclectic musical palette that spans many eras throughout the rich history of jazz. Tuesday, June 16 – 6 p.m.
A gifted singer, Jackson has been delivering soulful performances on Detroit stages since childhood. Tuesday, July 21 – 6 p.m.
Percussionist Obed Succari beautifully melds his Latin percussion training with his Motown- inspired musical stylings, creating a jazz sound all his own for concert goers to enjoy.